Northern Samar | LIVING IN THE PACIFIC - Philippines to Guam... One Day at a Time! Northern Samar – LIVING IN THE PACIFIC – Philippines to Guam… One Day at a Time! Northern Samar (Filipino:Hilagang Samar) is a province of the Philippines located in the Eastern Visayas region. 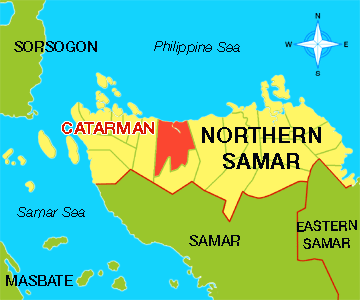 Its capital is Catarman and is located at the northern portion of the island of Samar. This entry was posted in In the Philippines and tagged beaches, bili rock formation, catarman, Catarman Northern Samar, diving, Eastern Visayas, Northern Samar, Philippine, Philippines, province, samar. Bookmark the permalink.